Soaring nearly 3000′ from glacier to summit, the West Arete of Eldorado peak is surely the longest continuous rock climb in the North Cascades. Guarded by a long and strenuous approach, this route is only climbed a few times a season by very competent parties. The setting is incredible, and the climbing amazing. Climbers should be very well versed with rock climbing with boots, tough approaches and be able to climb at least 5.9 at the crags with rock shoes in order to qualify for this route. This thing is the real deal and is only guided at a 1:1 ratio. A long alpine rock climb with a reputation. This route has a difficult approach, and stout climbing. Be ready to climb with a pack! The West Ridge of Forbidden, the North Ridge of Forbidden and the Torment-Forbidden Traverse are all climbs that should be on your tick-list. 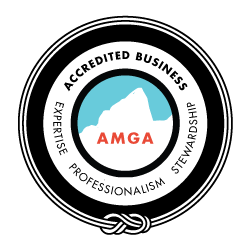 Climbers should have significant previous rock climbing experience to join this program. Consider a climb on the West Ridge of Forbidden Peak as a step toward this goal. 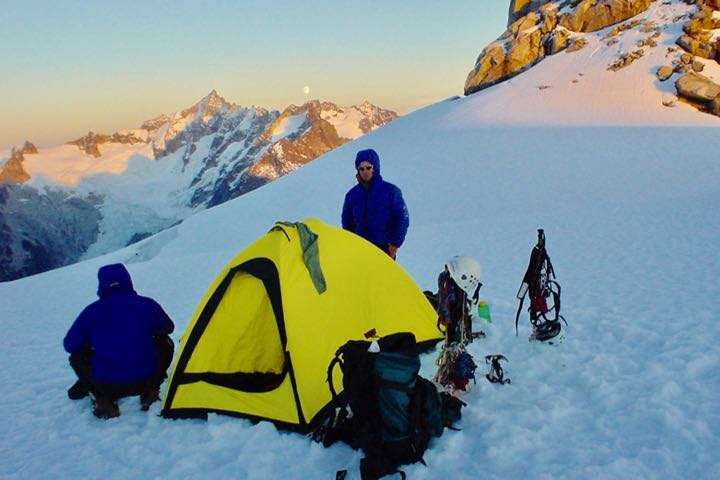 Climbers should also have basic experience with glacier travel. Consider joining a Coleman-Deming climb to build this experience.